We are a leading Manufacturer of red umbrella from Gurgaon, India. Our prime motto is maintaining the product quality and we make our every possible effort to make it possible. Having vast experience in this domain, we are engaged in offering elegantly designed Red Umbrella in the market. They are specifically designed as per the latest trends of the market. 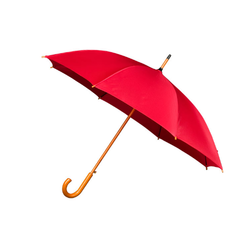 Our range of Red Umbrella is high in quality and low in pricing. We use highly advanced packaging standards to deliver our products.